My mother (Rekha Ramolia) is Maharashtrian and hence I have grown up relishing the Maharashtrian delicacies made by her. 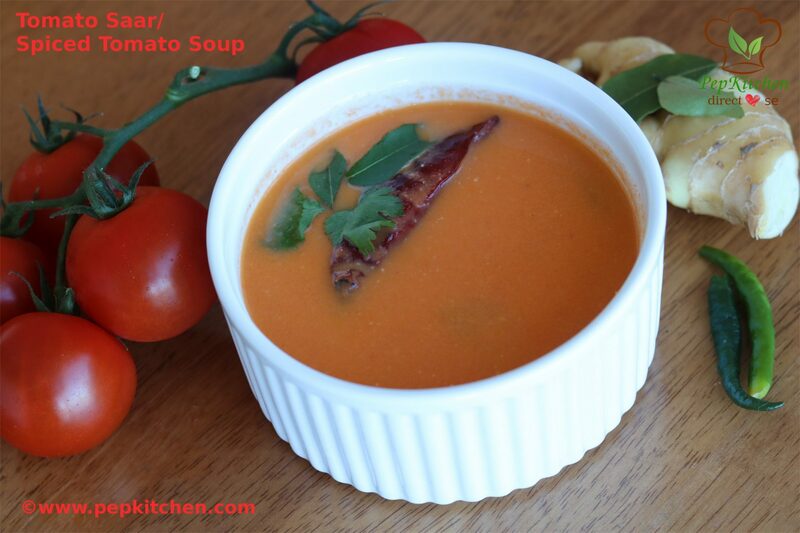 I love the tomato saar that she makes. She serves it with masale bhaat or pulao. 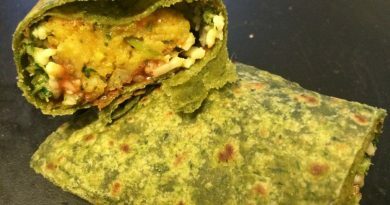 It is sweet, tangy and spiced with green chili and ginger. The tempering made by heating ghee and frying cumin seeds, chilies, asafoetida and curry leaves enhances the flavor. 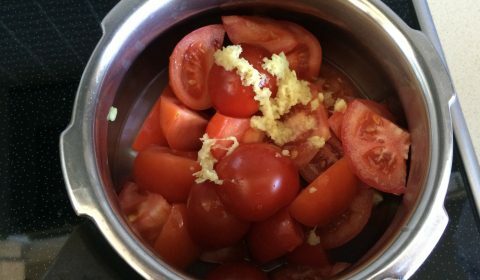 She used the make a big pot of tomato saar as we liked to have it by itself before dinner, just like soup, and then have it with the masale bhaat or pulao. 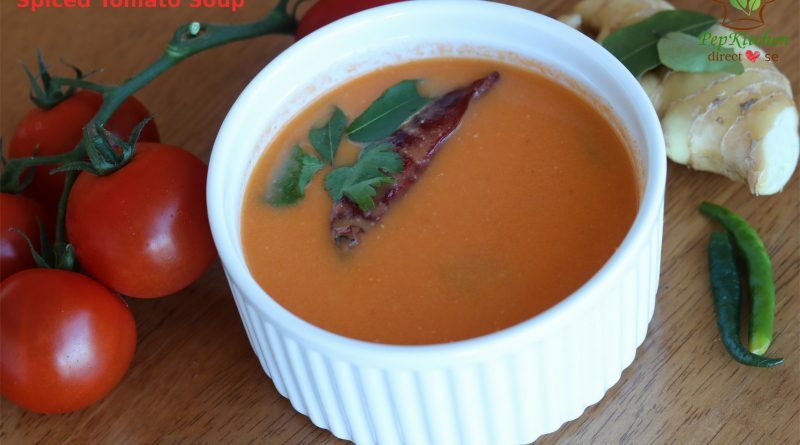 My father still prefers drinking this desi tomato version of soup to the creamy tomato soups. He likes to drink it hot in the cold weather. My mother used a generous amount of ghee for tempering/tadka/phodni. It would float on the surface of the Saar with cumin seeds and curry leaves. Since I prefer using less oil or ghee to my dishes, I have used less ghee. But the saar is tasty. 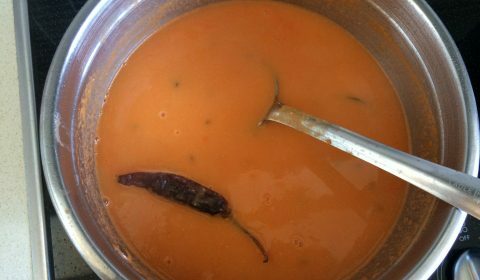 Friends, so make this quick tomato saar with plain rice, masale bhaat or pulao and please share your comments with me. Tomato Saar/Spiced Tomato Soup is a spiced soup made with tomato, peanuts, and coconut. It is tempered with ghee, cumin seeds, curry leaves and is served hot with steamed rice, masale bhaat in the Maharashtrian household. The saar can also be enjoyed as a soup by itself in the chilled weather. 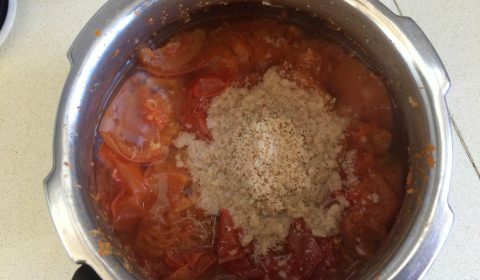 In a pressure cooker add chopped tomatoes, grated ginger, and water. Cover the lid with a whistle and pressure cook for 4-5 whistles. Let the pressure cooker cool by itself. 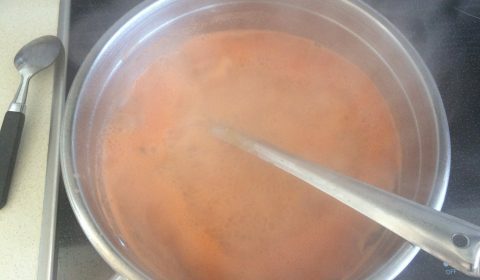 After the cooker is cooled, release pressure by lifting the whistle and open the lid. 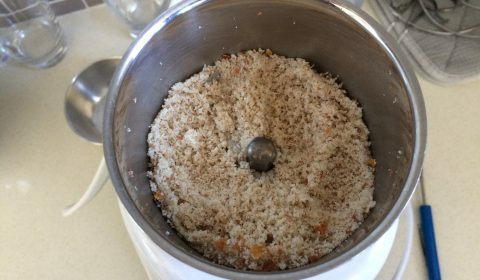 Add the prepared powder mixture of coconut and peanut. Blend the mixture till smooth. Now strain the mixture and remove it in a bowl. 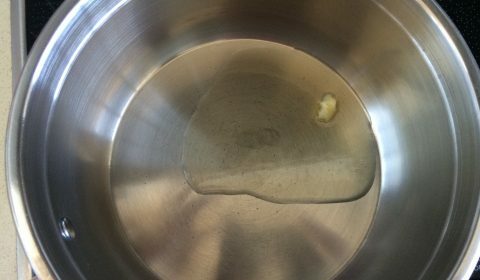 Heat ghee in a pot. Add cumin seeds. 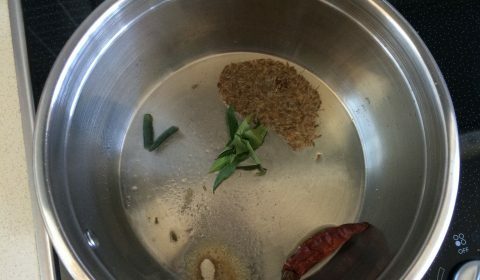 When it crackle add green chili, dry red chili, asafoetida, curry leaves. 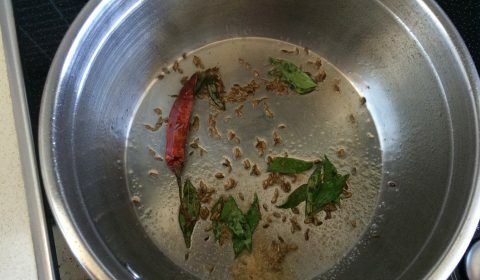 Saute till the red chili and curry leaves change the color. 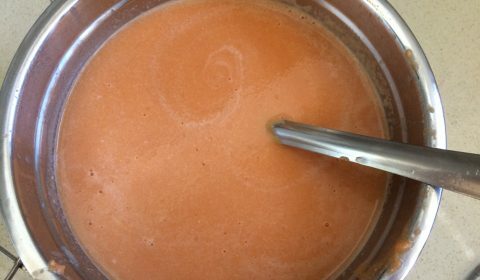 Pour the pureed and strained tomato mixture. Add sugar and salt and let it boil. Mix well. 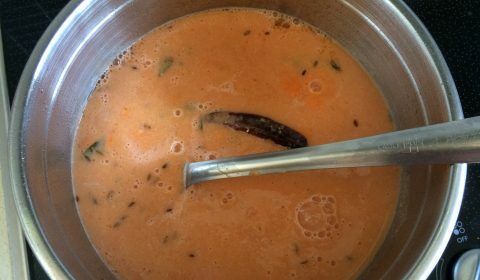 The tomato saar is ready. 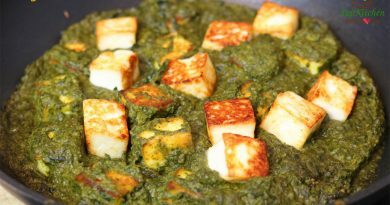 Serve the saar with plain steamed rice for a quick weeknight meal or with masalebhaat or pulao. 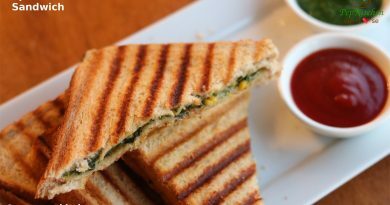 You can also enjoy it as a soup with paratha or bread.